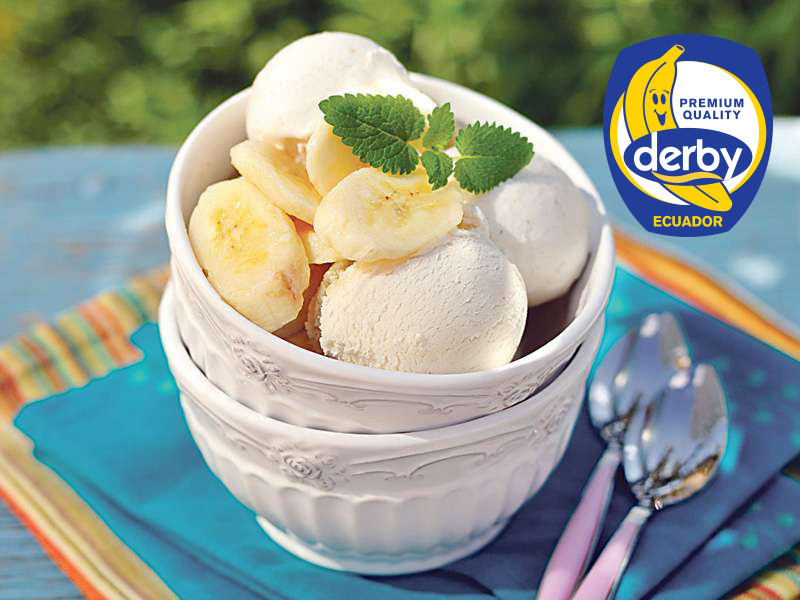 Ice cream with lime and bananas | DERBY® PREMIUM BANANAS RASTODER Company - DERBY bananas and other fresh FRUIT and VEGETABLED for you! You can make banana ice cream from one ingredient or combine it with other fruits. The best match is combinations with citrus, so we prepared ice cream from only two ingredients: bananas and limes. Put all the ingredients into the mixer and mix for a long time to form a smooth mixture. Move it into a ice cream-bowl or simply pour it into a bowl and place it in the freezer. Mix each hour or two of the mixture to form a solid mass.